Those Last 75 Pounds: Weigh-In Monday! Happy Happy Joy Joy!! After staying the same for a week and then last week's gain of 2 pounds, I was so pleased to be down . . . drum roll . . . SIX POUNDS! Now I realize that last week, if I hadn't been so bloated and stressed out, I probably would have been down 2 pounds or so which is part of this six. And I'm okay with that!!! Over this past week, I credit tracking everything as the main thing I did right, really right. 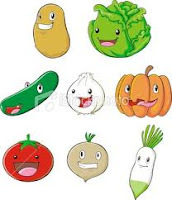 And veggies, I've eaten lots of veggies. Friday night I went out for dinner with a friend to Applebees. I chose one of their "under 550 calorie" meals so I knew I wasn't going crazy and it was delicious. I even shared a dessert and tracked it!! Oh eTools, after all the trouble I had getting signed up and one more invalid access code sent to me, I am finally signed up! I love it!!! It's so motivating to put in activity and see the points add up. I feel like I'm on a bit of a roll with the eating over the past week. I made a Veggie Chili that is low in points and high on fibre, I added a can of mushrooms too. I've been putting it on top of spaghetti squash for even more veggie pow and it's super filling. Travels well for lunches too. My biggest downfall is lunches. I hate packing my lunch but buying my lunch adds pounds. I love making breakfast on Saturday and Sunday too. This past weekend I was sauteing mushrooms, onions, green pepper, sun-dried tomatoes, and some spinach and then added 4 egg whites to the scramble. There was more veggie than eggs and lots of flavor. Topped with 1/4 cup of shredded cheese and yum!! 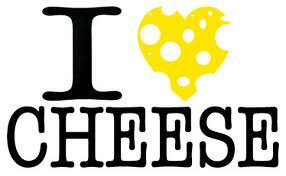 Gotta have my cheese! Putting a bit of cheese on everything really stops me from eating the whole block. Because I can and have eaten a whole block before. I only buy shredded cheese now. I went to Barbell Blast on Wednesday and Saturday as usual and ran before the class. I'm still short one to two runs per week though so I'm not progressing as I'd like too. I need to increase my commitment to the gym from just the two days. I'm proud of myself for sticking with Barbell both times that it is offered but I need more. This week is going to be a challenge activity-wise. I can go to the gym Tuesday, on Wednesday I will be missing Barbell Blast because it is our condo's annual general meeting (damn! ), Thursday I can go to the gym, Friday I can't, Saturday I have to miss Barbell Blast again because I am babysitting a friend's kids for the whole weekend. Challenge is right!!! 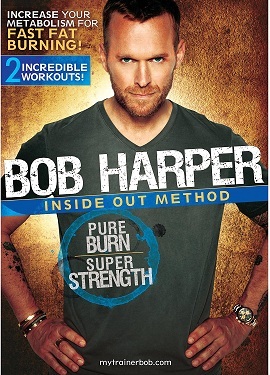 I bought Bob Harper's (Biggest Loser) Pure Burn Super Strength DVD (click the link to watch the trailer, eek!). I watched it through and it's a lot like the Barbell class so I'm going to substitute it this week for my classes. There's been lots of challenges running around the blogs these days and I'm reluctant to commit to a challenge that requires me to do something physical EVERY DAY. I've tried and failed enough diets and plans and exercise programs to know that I won't do it. I would rather commit to four times a week and end up doing it five or six rather than commit to seven and fail and be disappointed in myself. That's just how I roll :) So my challenge for myself this week is to continue to track everything I eat in eTools and to do Bob's Pure Burn Super Strength three times this week (in place of Barbell) and run three times this week. Thanks everyone for all your comments, mentions, encouragement, and support! It is so so appreciated!! Oh you are so on MIchaela!!! Can't wait to read more about your exploits with Bob's DVD. I just bought the Yoga DVD. I did 15 minutes of it. I love his Yoga philosophy and practice. I agree with you about the challenges. I once tried to do Yoga for 30 days. After day 3, I was bored. I do enjoy working out, but like everyone, life gets in the way. However, I am always aware that I need to have activity (at least 20 minutes) everyday. I wake up at 5 a.m. (the only time I have because of work and 3 kids). And as much as I would like to sleep in, I won't do it any other time. You can create your own challenge: like multi tasking workouts. Doing lunges while pumping gas; squats or side bends while brushing teeth. You'll get activity in, but nothing that will overwhelm you. I'm the same way with commitment - I tend to over-commit and then disappoint myself. Good for you realizing it and taking the right steps. And also, congrats on the weight loss! That is awesome! Lunches - that was my greatest challenge but I found a salad bar near my office that was great. I just chose lots of veggies and low-fat dressing. But that can get old so yes, it's a challenge. Wow!!! Six pounds is amazing...the kind of number you normally only see once...the first week of program!!! Congrats Michelle, you deserve it. Keep up the great work. Yep, I think you nailed it with the over-committing bit and it being unrealistic. Think I'm way too guilty of that one also ..... hey just read my Weigh-In Wednesday posts and you'll see that happening a bit! 6lbs is just awesome! You must feel absolutely on top of the world! Go girl! Hi Michelle. 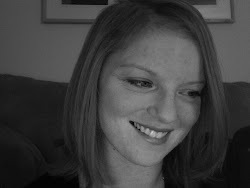 I tagged you on some questions I have for you on my blog today. Thanks. Great job on your weight loss! I need to get better about eating my veggies. My hubby is sooo not a veggie eater so it makes it harder on me. I'm visiting from Scale Junkie. Feel free to link up with us too! I host a Weekly Weigh-In every week but since I'm pregnant I am posting my weight gain instead of loss! BTW I love your button! Congrats on the loss! You did a great job on eating healthy and everything you ate sounds soo good! I totally understand not wanting to over commit to something. I think what you are doing is better than setting yourself up for disappointment. I'm coming over the link up at Marvelous Mommy....welcome!